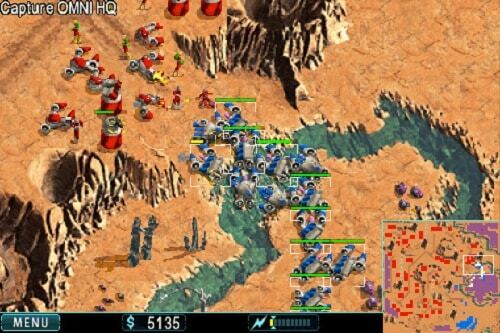 Warfare Incorporated is an older real time strategy game that originally released in 2003 and saw new life in 2008 when it was ported over to iOS devices. Offering both single player and multiplayer gameplay this title is still a great offering in the mobile strategy space. Taking place in the future where super corporations are competing heavily for the remaining resources in the galaxy, the title follows two at the centre of this conflict, ACME and OMNI who have both recently discovered a new planet in the distant part of the galaxy called Icarus. This planet also just happens to have one of the rarest minerals around, galaxite which is a vital resource in teleportation technology. During the single player campaign players will assume the role of junior executive Andy Whitmore as he explores the planet on behalf of ACME, discovering strange technologies and a new enemy. This story unfolds over 20 missions which slowly feed the player additional units and buildings in traditional real time strategy style. These missions are a good mixture of defensive and offensively focused and the evolution of gameplay is supported well by the constantly changing strategies you’ll employ. The real benefit to Warfare Incorporated though is the additional hundreds of additional single and multiplayer missions that have been created by the community for those that want more gameplay. With solid gameplay the only thing that lets Warfare Incorporated is its age that shows itself both in graphics, UI and sound effects. Those that are seeking a high quality real time strategy offering on mobile though will be able to look past this thanks to the replayability but those on the fence might find this is just simply too much of a hurdle to overcome. 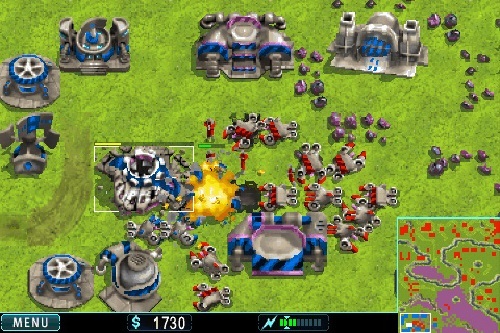 A classic RTS game for early mobile devices now on iOS. Play through 20 campaign missions on a newly discovered planet. New technologies, buildings and units introduced throughout the story. Explore hundreds of additional single player and multiplayer scenarios created by players. Multiplayer features include lobbies and leader boards.